Croatia has become one of the most popular destinations for European travelers in the last decade. No surprise, since it has a lot to offer – natural attractions, beautiful beaches and crystal clear see, tasty traditional food and wine and nice weather with lots of sunny days. It is easy to reach from majority of European countries with increasing number of international flights to domestic airports each year and all major cruise lines visit ports in Croatia. And, of course, there is the “Game of Thrones” appeal. 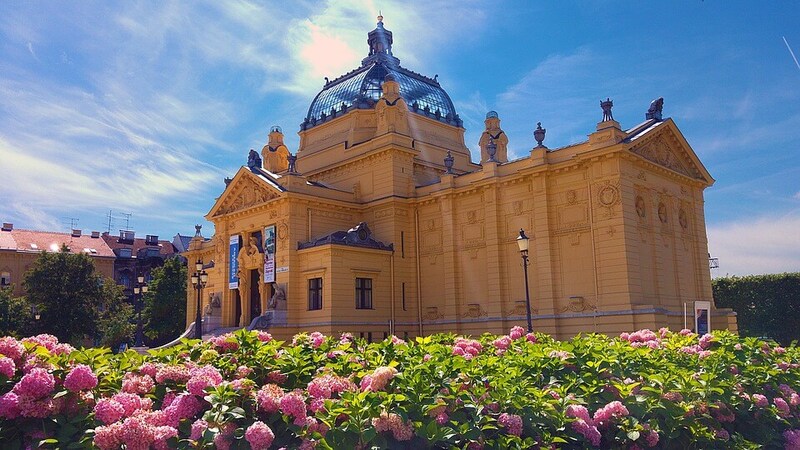 Zagreb, capital and the largest city of Croatia, is a modern city with a rich history dating from Roman times. Charming medieval look similar to other Central European cities such as Prague, Budapest and Vienna, rich selection of museums and cultural attractions, thriving restaurant scene, lively nightlife and wide selection of events and festivals through the year makes Zagreb desirable destination for travellers from around the world. Zagreb is located in northwest of the country and is within easy reach from other European cities, by car, train or by plane. Zagreb International Airport – Franjo Tuđman is located 15 km south-east from the city center in the district of Pleso. It is the largest airport in Croatia, completely renovated in March 2017. Croatia’s 1.800 km coastline with 1264 islands, clear blue sea and sunny weather all makes it an ideal destination for summer vacations. Two of only 64 inhabited islands are Brač and Hvar, third and fourth largest islands in Croatia. Although geographically very close to each other they differ in so many ways. Hvar, the sunniest island in Croatia, is mostly known for its cultural heritage, natural beauties and rich nightlife with high-end clubs, restaurants and luxurious parties. When you move away from Hvar City you come across vast fields of lavender, olive trees and vineyards surrounded by the sea which all create unique Mediterranean experience. Brač attracts less glamorous crowd than Hvar and offers better insight in authentic life on Croatian Islands. Rich in history and famous for its pebbled beach Zlatni Rat (one of the most beautiful beaches in Europe), olive tree fields and olive oil, but also for natural white stone (White House was built with stone from Brač). 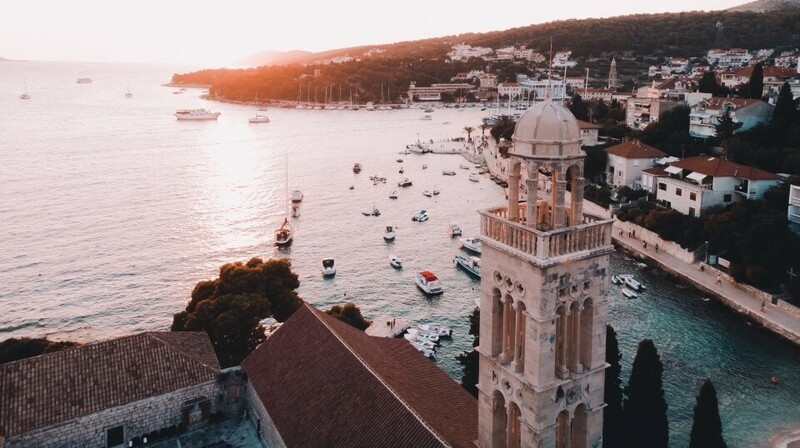 There are boat and ferry lines to coast and back from both islands with Split, second biggest city in Croatia and biggest in Dalmatia, being the main connection to Brač and Hvar. The island of Mljet is located in the south of Dalmatia, below islands Brač, Hvar and Korčula. 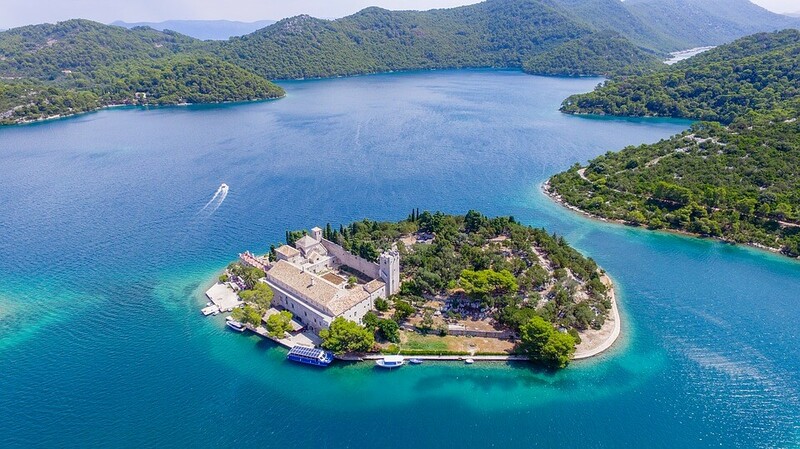 Mljet National Park is rich in life, natural beauties and archaeological findings. Two deep bays filled with seawater, known as Malo Jezero and Veliko Jezero (Small Lake and Great Lake), and Benedictine monastery located on the island of St. Mary on Veliko jezero , are the most famous locations of this area. You can visit Mljet National Park by boat from Dubrovnik, Split and Pelješac, and by numerous excursion boats. 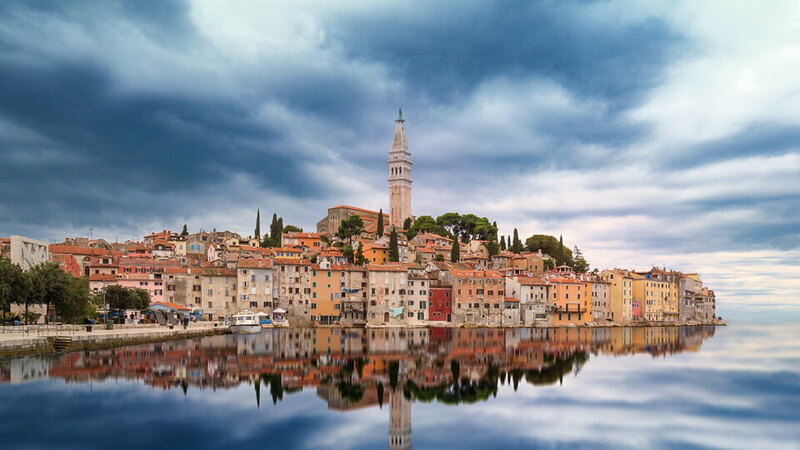 Istria, the largest peninsula in the Adriatic Sea and westernmost part of Croatia, has a different feel than the rest of the Croatian coast with cultural and historical influence of Central Europe and Italy. Beautiful towns on azure coast, medieval little towns inland situated on top of the hills overlooking vineyards and olive fields, National Park Brijuni, great cuisine, film and music festivals and plenty of sports and outdoor activities all make Istria an ideal holiday destination. Zadar is an ancient city located at the very centre of the Croatian coast. Full of historical and cultural monuments, museums, cafes and restaurants, with string of gorgeous beaches in and around the city and with the most beautiful sunset in the world (as Alfred Hitchcock described it), Zadar sets to be an ideal destination if you want to avoid overcrowded Split and Dubrovnik. 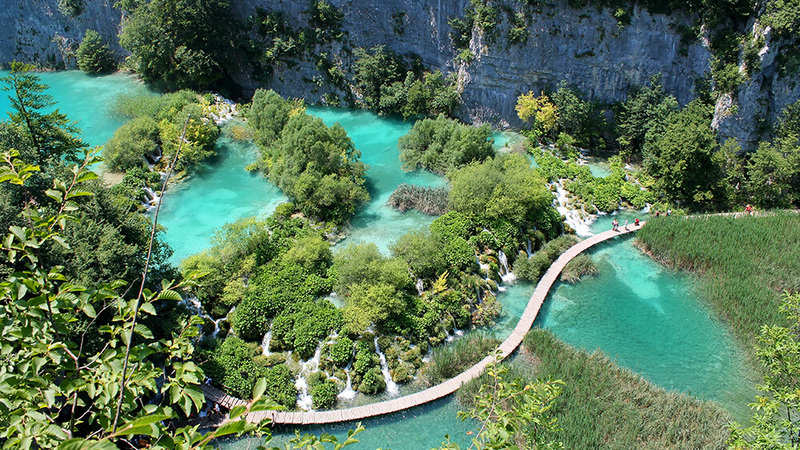 Krka National Park is the second most visited national park in Croatia (Plitvice Lakes are on top of the list). 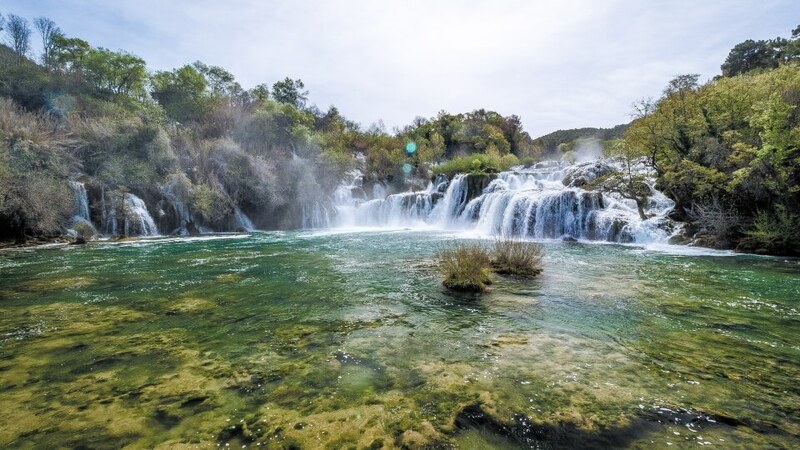 It is located along the middle-lower course of the Krka River in central Dalmatia, just a few kilometers northeast of the city of Šibenik and 76 km from Zadar. Best way to experience Krka Waterfalls is by foot and by boat. You can book your Krka Waterfalls PRIVATE EXCURSION with Romeo & Juliet Travel Agency and experience the Park intimately with friendly and professional local guide. Often called “Little Dubrovnik”, Korčula is a beautiful island located in south of the Adriatic famed for its rich history, historical old town, excellent vine and diverse landscape. 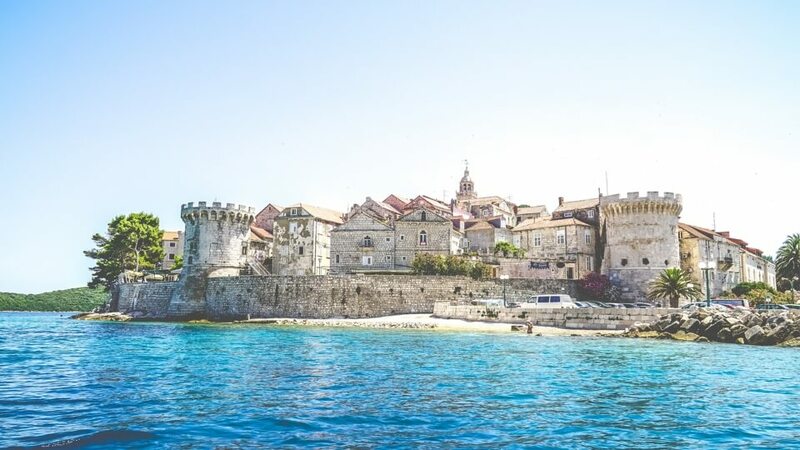 There’s plenty of things to do in Korcula – you can visit Marco Polo’s house (there is a museum which is supposedly a place of birth of this great explorer), enjoy in historical cultural dance “Moreska”, explore old town with for narrow alleys and beautiful architecture on every step, or take a swim on one of many beautiful beaches across the island. Split is the second-largest city of Croatia and the largest city of the region of Dalmatia, with about 200,000 people living in its urban area. Split is best-known for Diocletian’s Palace, Roman Palace placed on the World Heritage UNESCO list in 1979, but it has a lot to offer besides historical monuments and museums. You will find numerous beaches with clean water across the city, Marjan Hill is ideal for all kinds of recreation – hiking, running, climbing and biking, and the town is packed with bars and night clubs, as well with restaurants and coffee places. Split Airport is located 19 km from Split in the town of Kaštela. 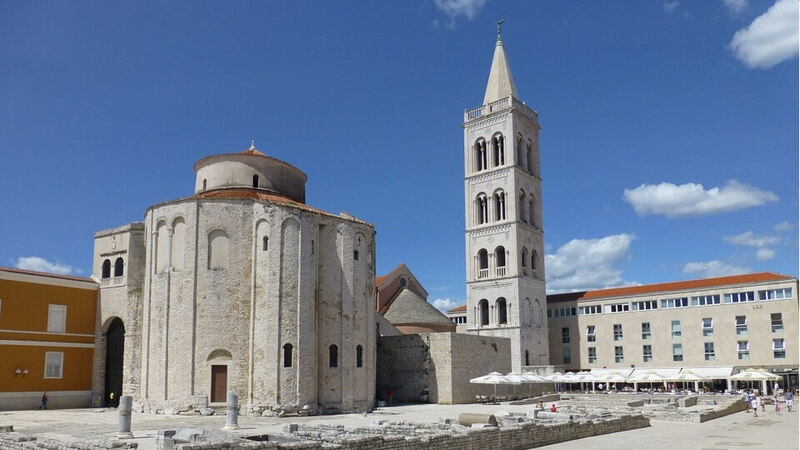 Romeo & Juliet Travel Agency will lead you to experience intimately the heart of Adriatic cities’ modern life and ancient heart with Trogir & Split Urban Excursion Private guide. Plitvice Lakes National Park is one of the oldest and largest national parks in Croatia. The national park, which consists of sixteen lakes connected by a series of waterfalls, was founded in 1949 and in 1979 was added to the UNESCO World Heritage register. With its exceptional natural beauty – waterfalls running from one lake to another, rich wildlife, fresh air and clear water – Plitvice Lakes National Park attracts a great number of tourists each year. Plitvice Lakes are located halfway between Zagreb, capital city, and Zadar on the coast and, if you are visiting Croatia, it has to be on your list of places to visit. You can BOOK your private tour to Plitvice Lakes with Romeo & Juliet Travel Agency online and make reservation for your best excursion! Dubrovnik, known as The ‘Pearl of the Adriatic’ , is one of the most prominent tourist destinations in the Mediterranean Sea. Charming pedestrian-only old town, packed with beautiful Gothic, Renaissance and Baroque churches, monasteries, palaces and fountains, beaches and pristine sea surrounding medieval walls of old town, delicious food, five-star hotels and lots of sports and recreation activities available, all make Dubrovnik the top tourist attraction in Croatia. And, let’s not forget, Dubrovnik is the main filming location for King’s Landing from Game of Thrones television series. 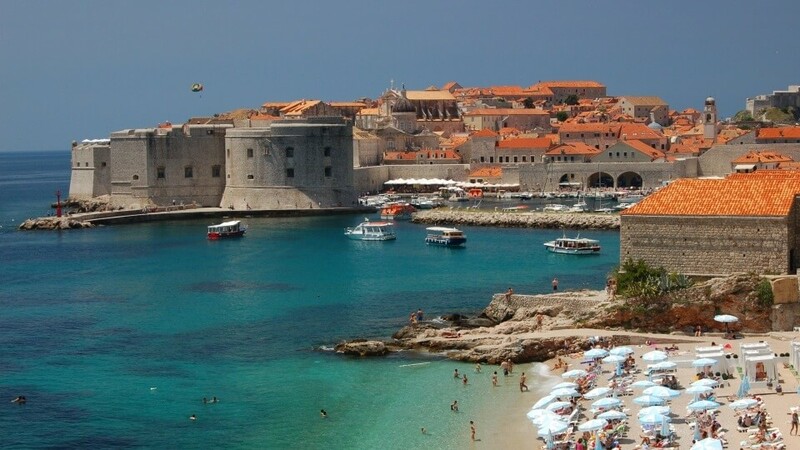 The popularity of “Game of Thrones” was responsible for 10% of the annual growth in tourism in Dubrovnik, the city’s mayor told Bloomberg in 2015.